Wraps are my new sandwich of choice right now. Very quick and easy lunch. They would also be good with a bowl of soup. Stir together cream cheese and peppers in a small bowl until smooth. Spread about 1/4 cup cream cheese mixture evenly over 6 tortillas. Place 1/2 cup spinach on each tortilla. 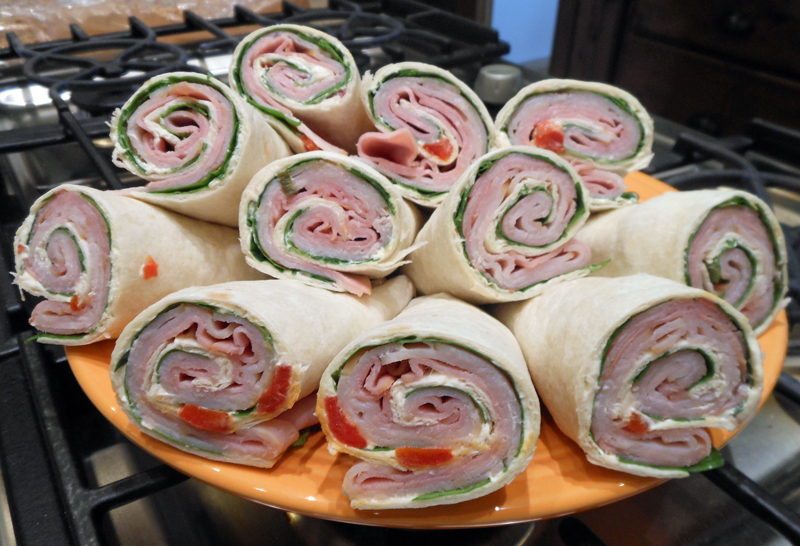 Top evenly with ham and turkey slices. Roll up jelly-roll fashion, and cut in half. Secure each half with a wooden pick.